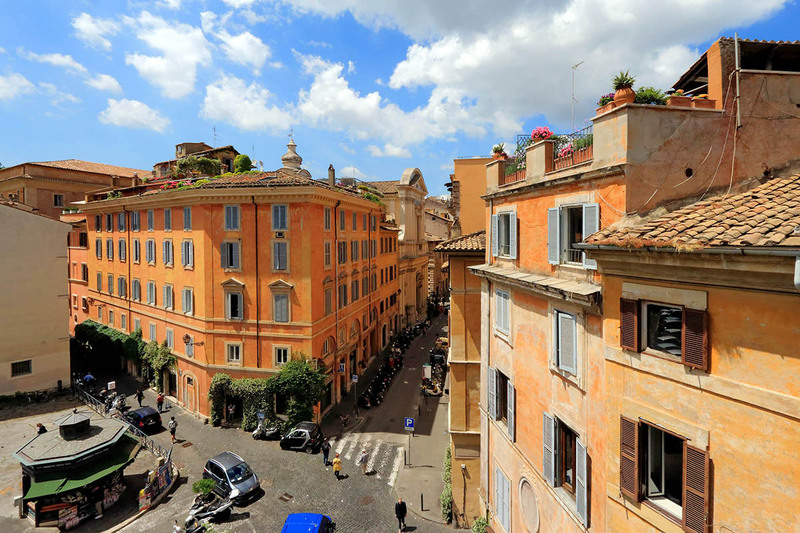 This luxury superior Rome terrace apartment will definitely exceed your expectations. 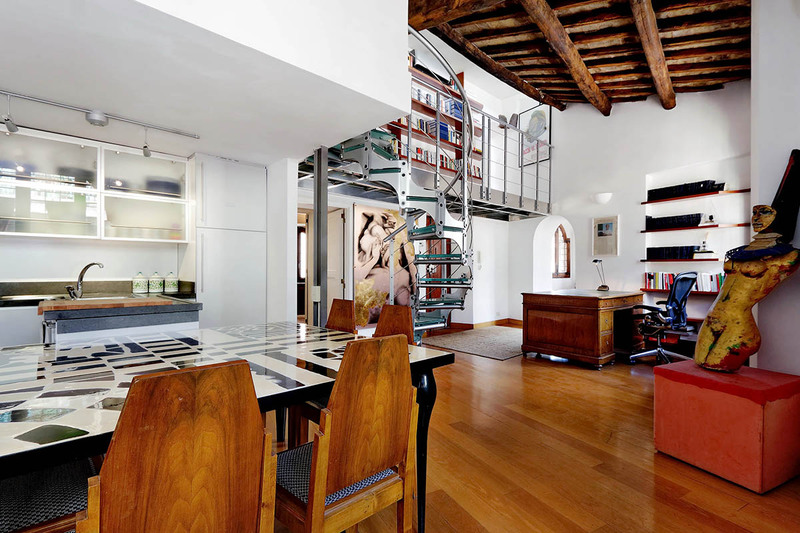 In this bright and elegant unit, old meets new in its delightful interiors. 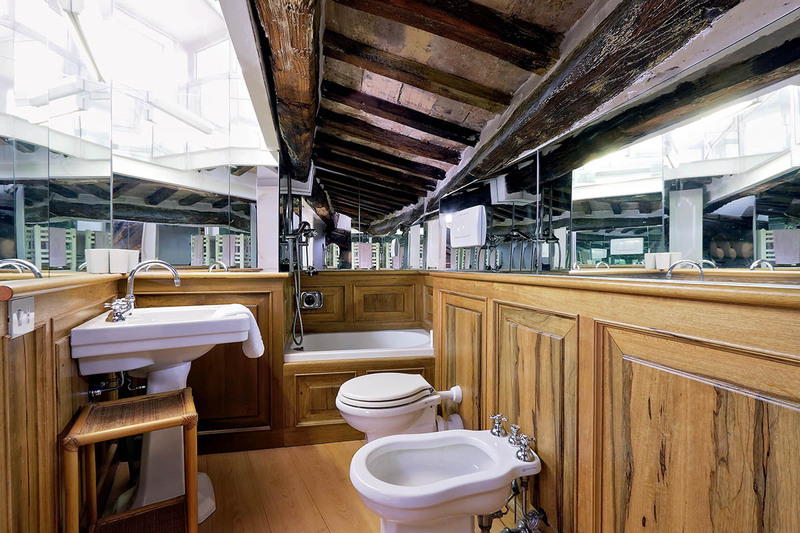 The apartment is on three levels: at the first level, you will find the studio, the living area, the kitchen, the master bedroom and the bathroom with shower. 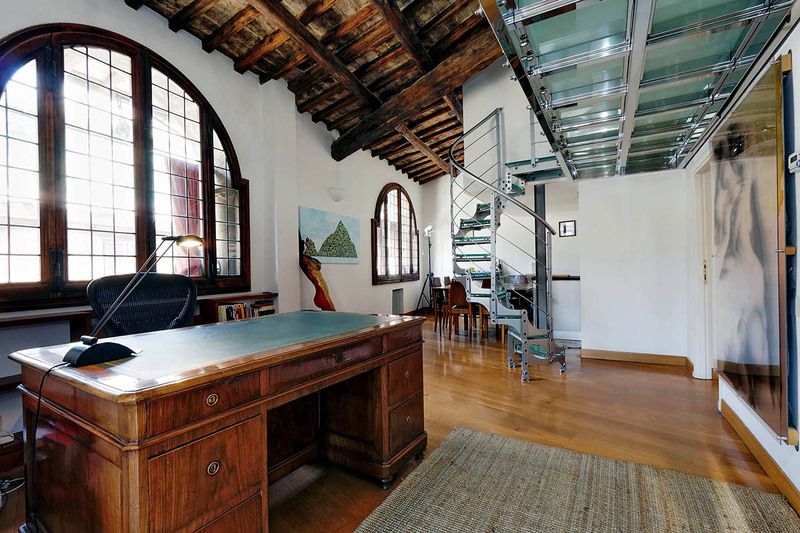 The studio features a desk with two comfortable chairs, though hopefully your Roman holiday will be business-free! 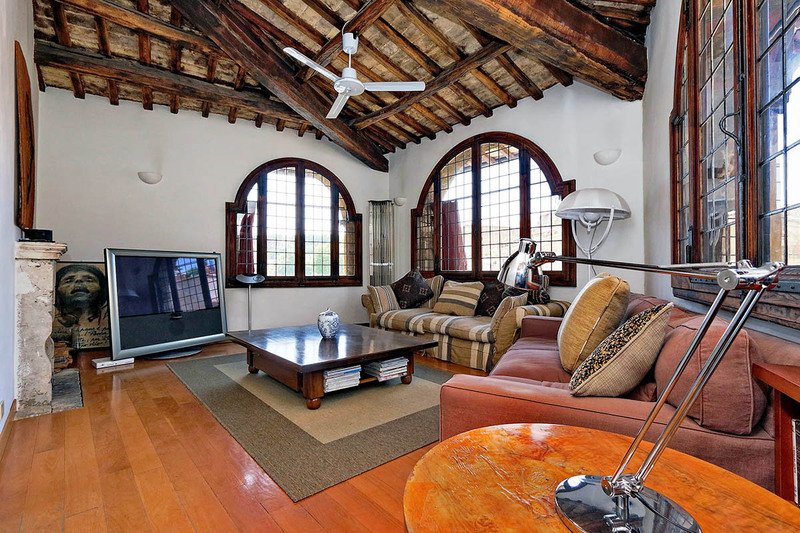 The living area is so comfortable that you would never leave it: two large sofas, a low table for magazines, a flat screen 50″ TV, a Hi-Fi system, make the area unique. The well-equipped kitchen provides a fridge, a freezer, a washing machine, a dishwasher, a gas stove and an oven. 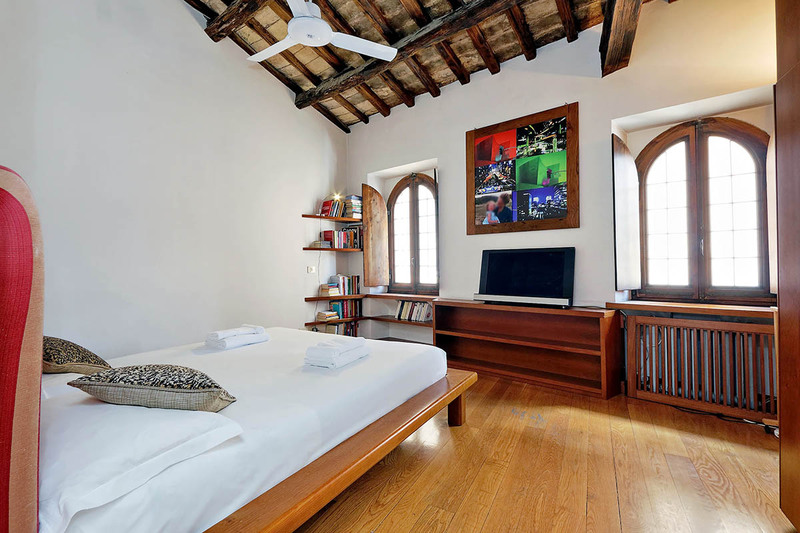 The master bedroom has in its center a king size bed and large wooden wardrobes. 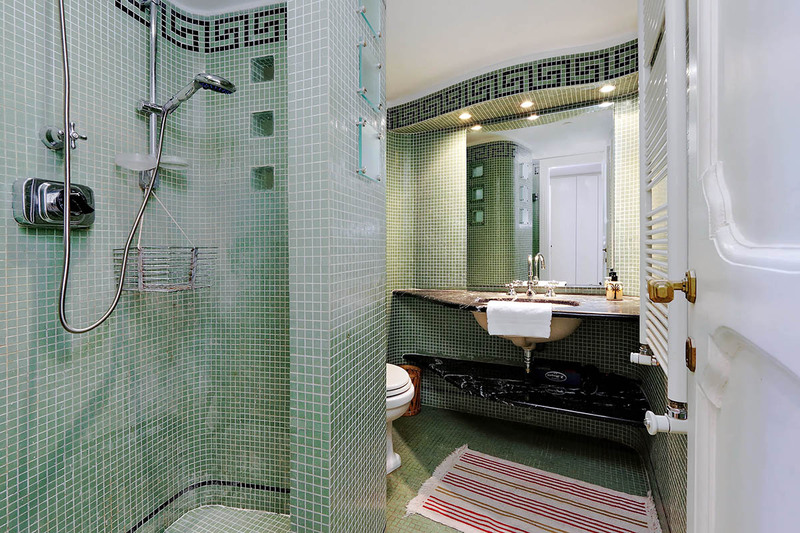 The green bathroom features a wide shower. 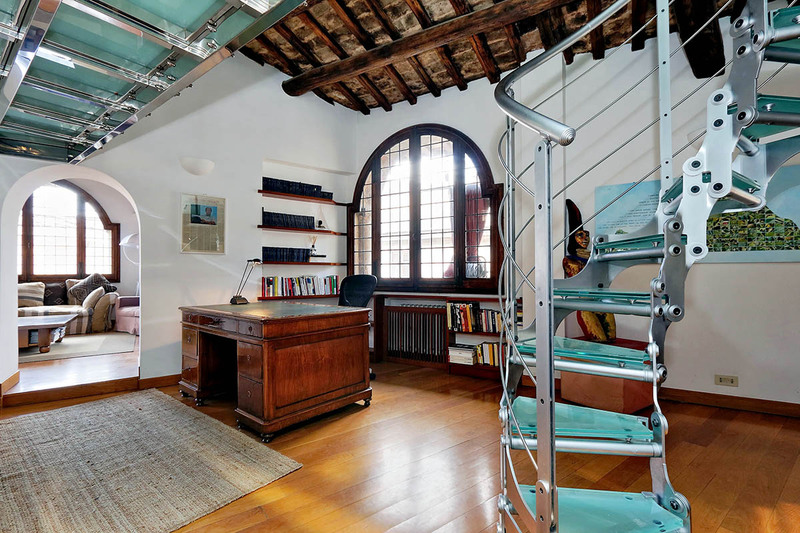 A marvellous iron and glass staircase will lead you at the second level where you will see the single bedroom, the library and the bathroom with bathtub. 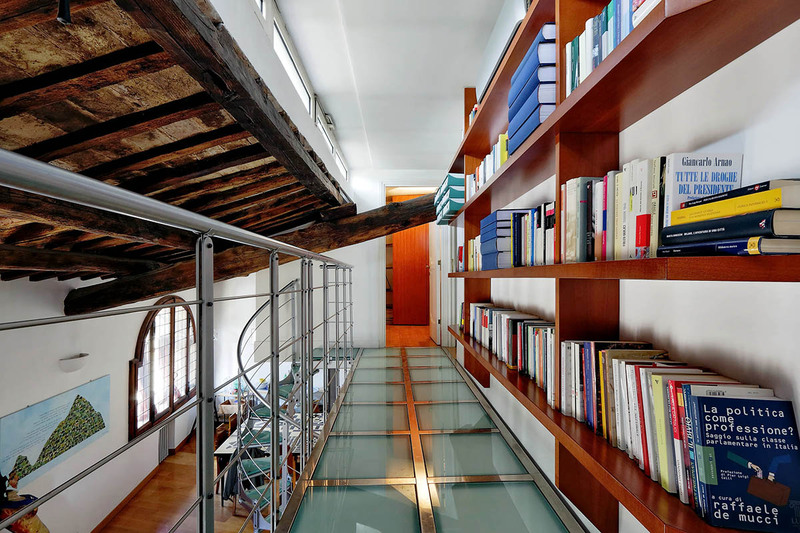 Finally, on the third level, you will discover the jewel of the house: its lovely terrace with views over Rome. 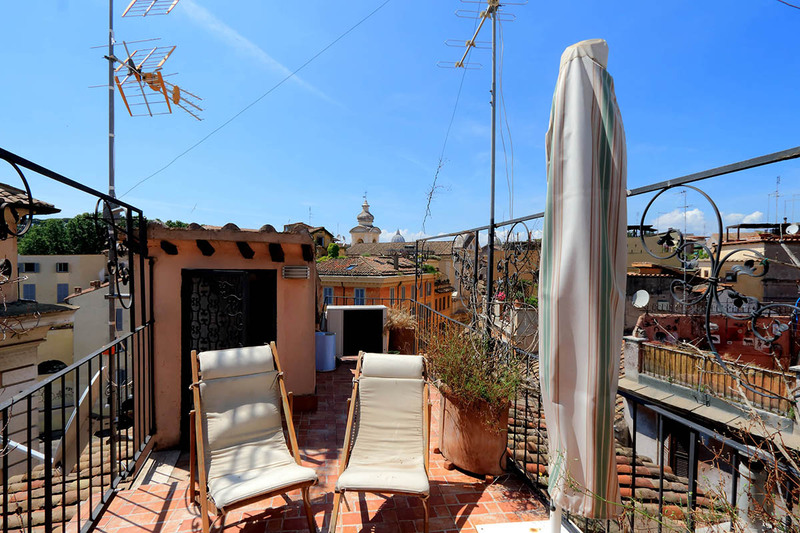 Moreover, two wooden “chaises longues” are there to give you the opportunity to relax on the rooftop terrace. 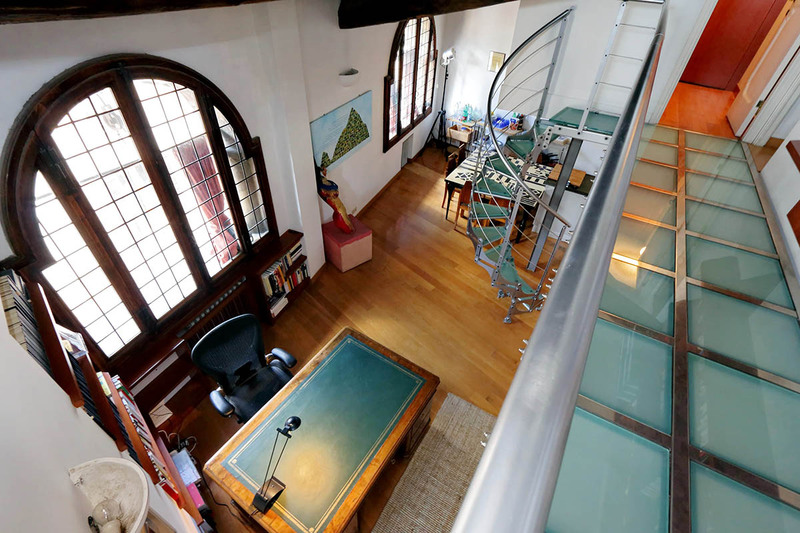 The whole apartment is provided with air conditioning and fans. 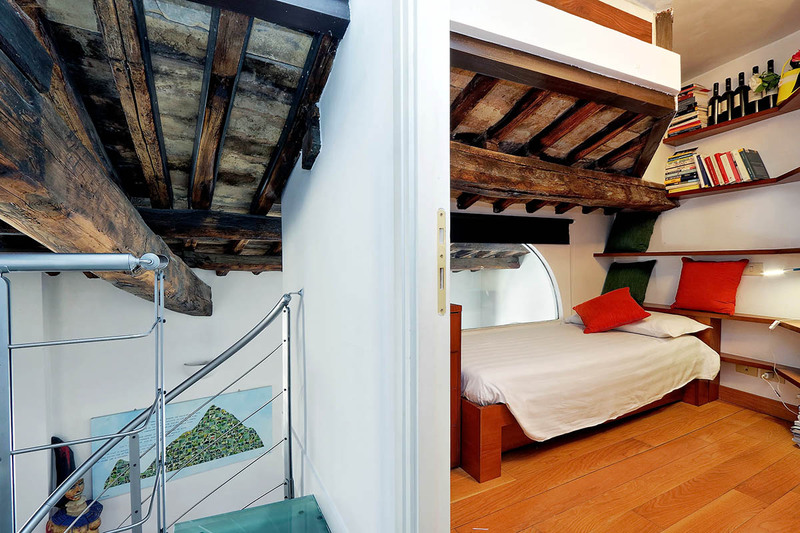 We highly recommend this unit to the people who are looking for the best accommodations in Rome. 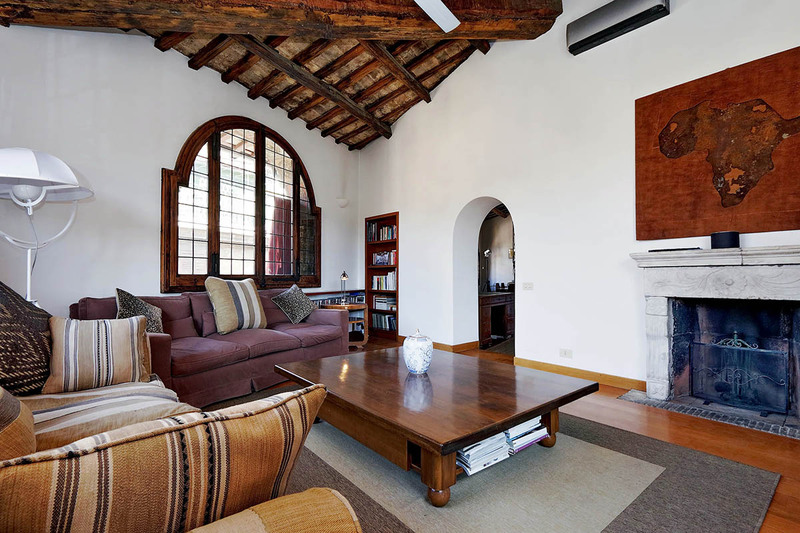 This apartment lies on the Via di Monserrato, a few steps from Campo de Fiori and Piazza Farnese. The former is especially charming in the mornings, when you can visit its fresh produce market. 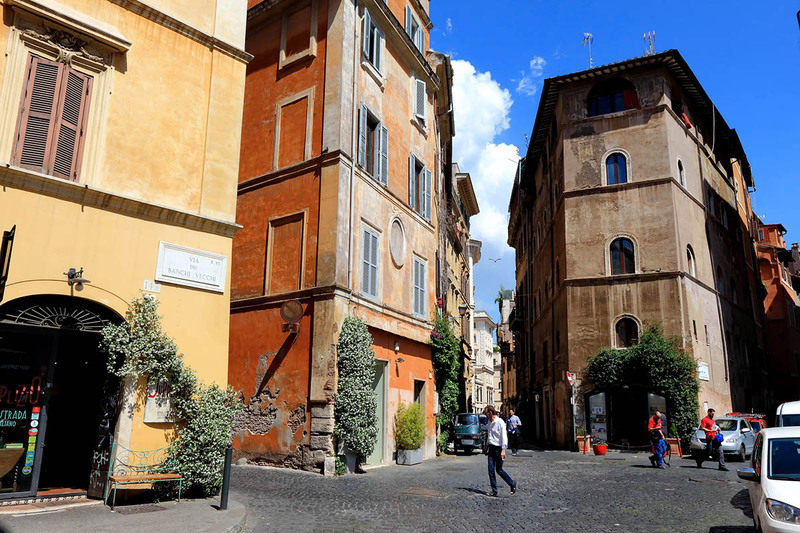 The Piazza Farnese is slightly more refined and elegant than the Campo de’ Fiori. Both have bars and restaurants on the squares themselves and in the surroundings. 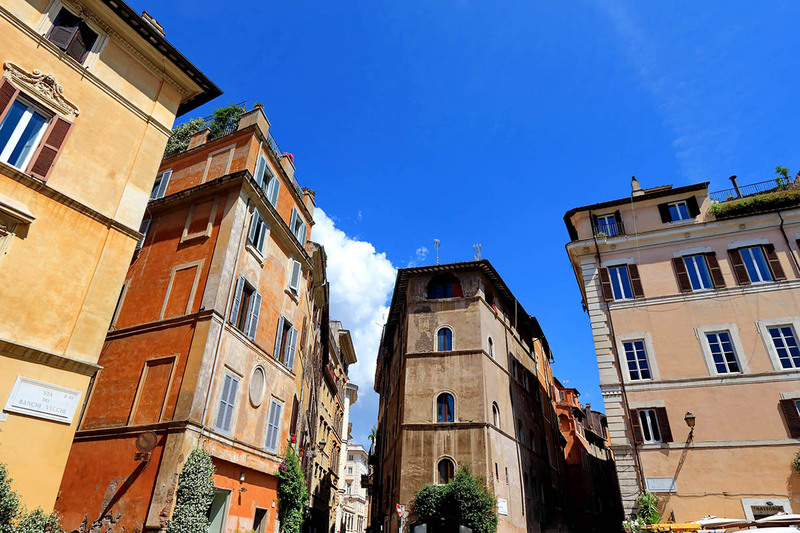 This means they are particularly lively in the evenings, especially with Trastevere just across the river. This area comes alive in the evenings as people flock to its characteristic bars and restaurants. 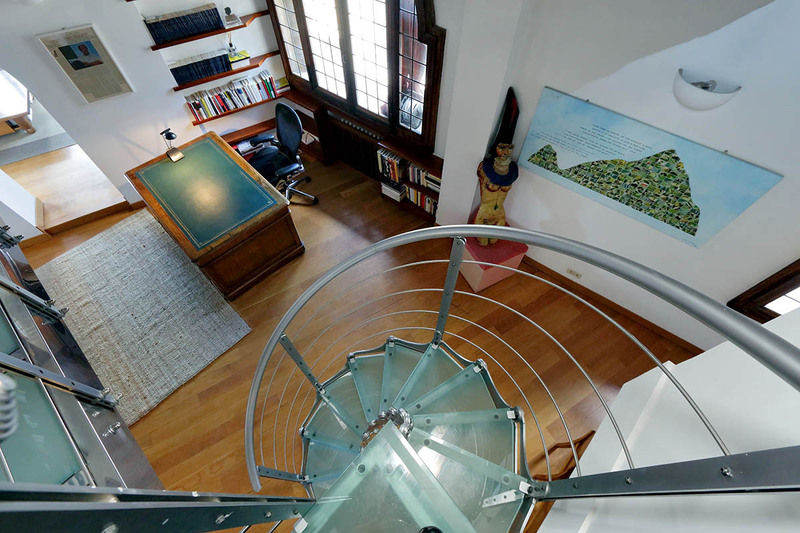 From your apartment you will be in a great place from which to explore the historical center of Rome. 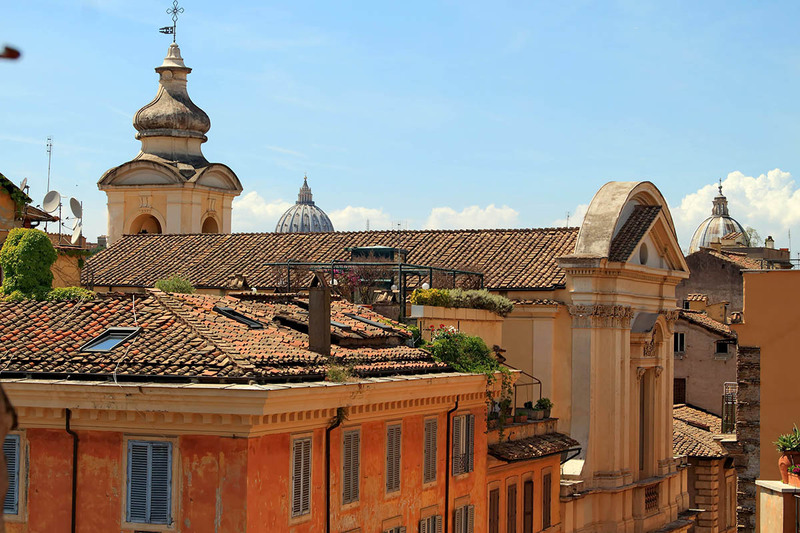 Within easy walking distance you will find the Pantheon, Castel Sant’Angelo and Piazza Navona. Moreover, attractions that are further away can be reached by bus. In this area you will also have access to many facilities such as banks, supermarkets, post offices and pharmacies.